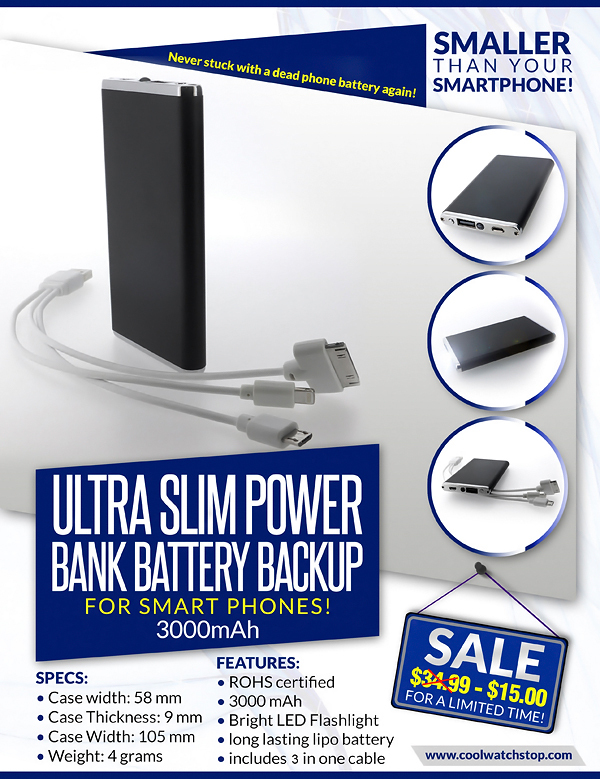 Deluxe ultra slim 3000 mAH rechargeable power bank for smart phones and devices. 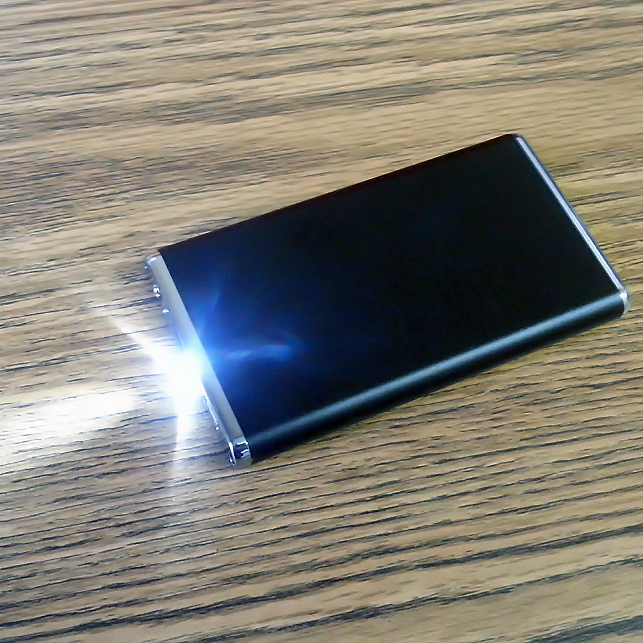 Features a sleek all metal case with bright LED torch and charge indicator with smart switch. 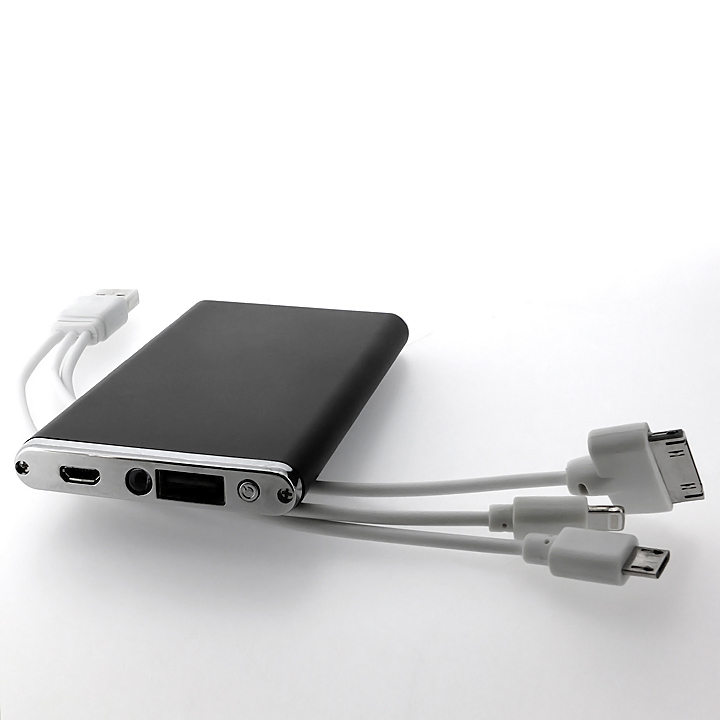 Includes multi connection cable with Iphone, lightening and micro usb. Perfect for your smart phones and tablets. 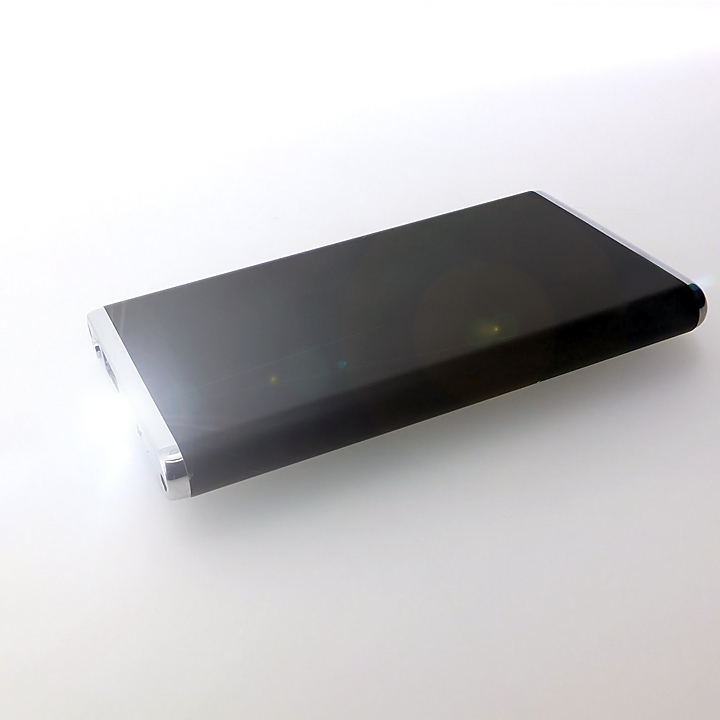 Never get stuck with a dead battery again! 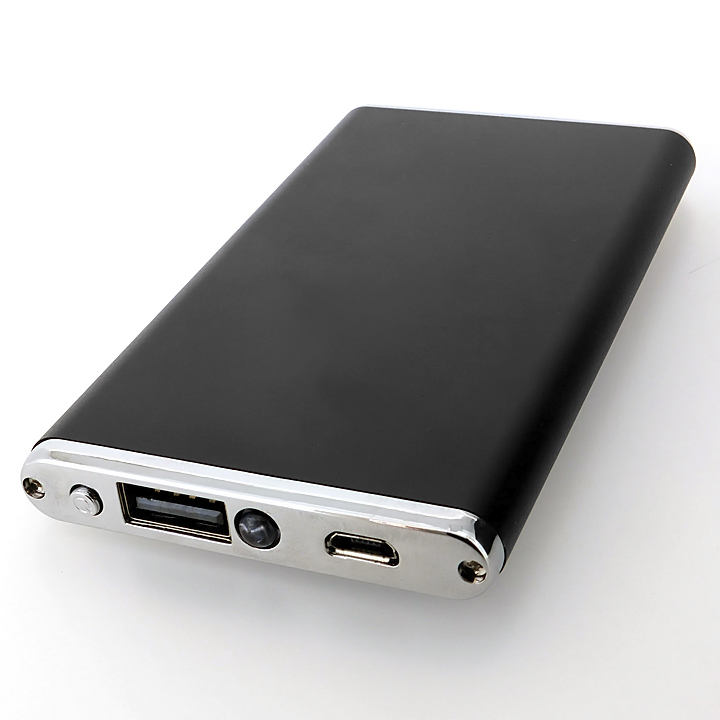 Long lasting lithium polymer battery (LIPO). 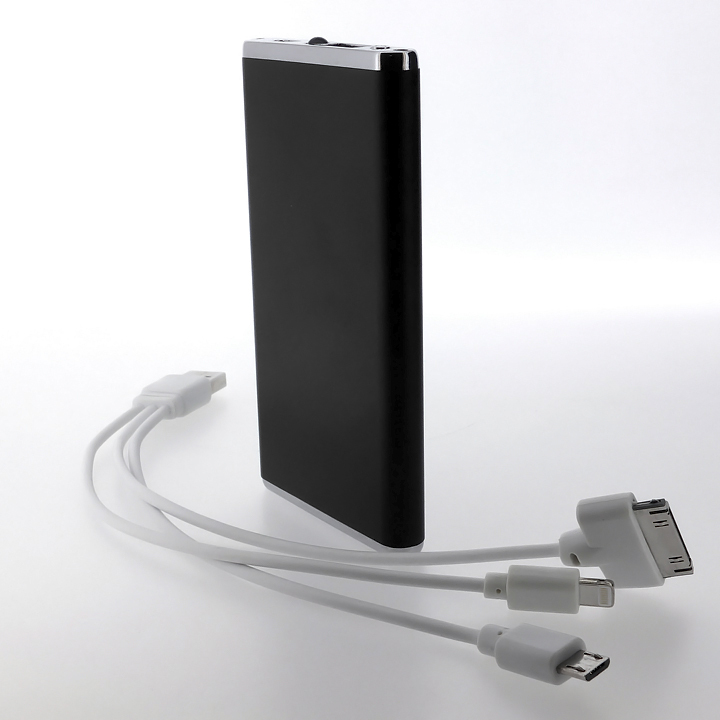 Includes 3 in one charging cable.